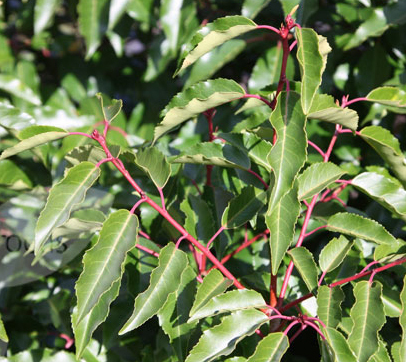 Portugal Laurel is a good evergreen hedging / topiary choice and is hardy, even more so than its close relative Cherry Laurel (Prunus laurocerasus). Having received the RHS Award Of Garden Merit, it must be doing something right and is a good choice for making ornamental statements such as Avenue planting or attractive hedging. The young leaves have a reddish tinge and are held on red stalks which turn into a year long shiny green leaves. 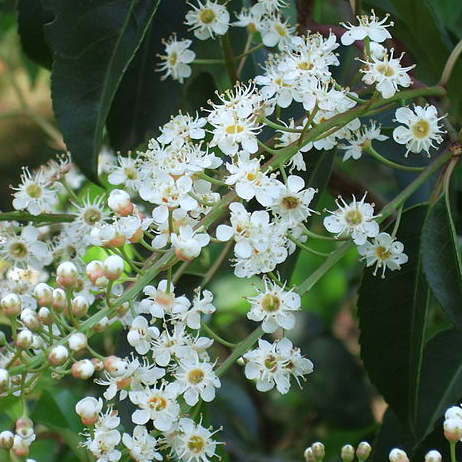 Early Summer (around June) and your Portugal Laurel hedge will display insect friendly Hawthorn scented, small cup shaped and fragrant white flowers. These develop into dark purple/red fruits that then turn black (harmful if eaten, bitter to the taste). 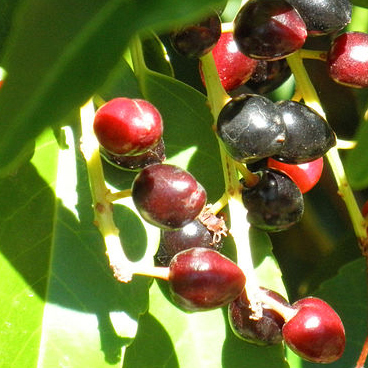 Portugal Laurel was once planted where game birds fed because it was believed the berries made the meat taste better. 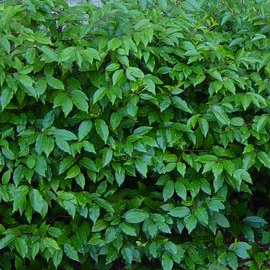 Due to the shape of the leaves, the Portugal Laurel is often mistaken for Bay Laurel and they have cyanide in them that is released if burned or crushed. As we have never heard of Russian spies disposing of political enemies by making them eat a hedge we suspect it is not in extremely high amounts. 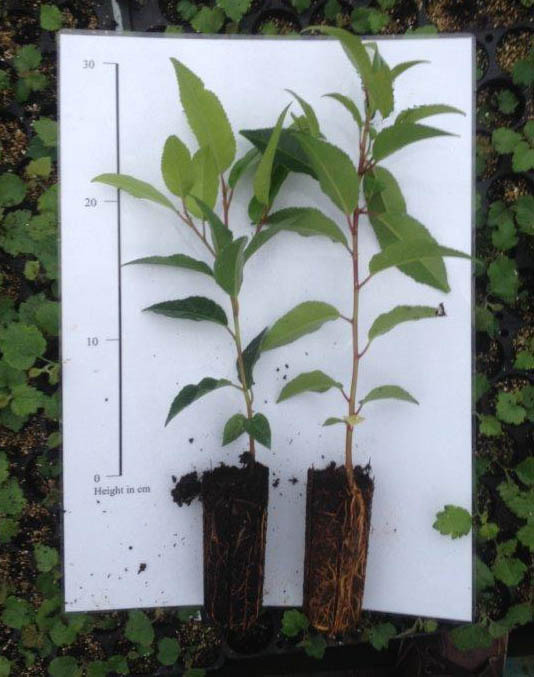 English Heritage's Brodsworth Hall in Yorkshire roughly cut their Portugal Laurel trees three times a year in February, July and October to promote new growth and therefore expose more red stems and leaves. For the less enthusiastic and time poor normal people that buy these hedges, a trim in Summer will suffice. Letting them grow un-pruned for 2 years is a good idea. Good for most soils particularly chalk although windy or exposed positions would yield less than perfect results. We are not sure what would happen if planted in ideal soil conditions but in the window box of a lighthouse, if you are such a person, maybe you could let us know? Portugal Laurel is rarely found in the wild but when it is, it is usually next to mountain streams. Despite the mental image this generates, it is a drought tolerant species. If left to grow without man made interference over zealous retired people on shaky ladders and high revving chain saws then Portugal Laurel will grow to around 15m with a 12m spread. 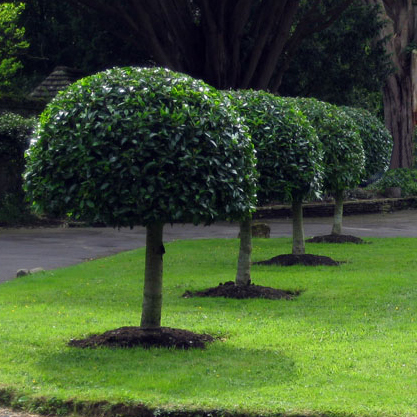 Planting 2 per metre for a single row of hedging trees will suffice or 4 per metre for double staggered hedging however you can vary these numbers if you wish.